Twenty three years ago, I said I would never move from my home town of Lafayette, Louisiana. Twenty three years later, I’m very glad I didn’t put myself in a box and allowed the Lord to guide my life. Through it all, I met the girl of my dreams and now have 2 beautiful children. Without question, I was supposed to move to Southern Indiana. Please don’t tell my 3-year-old son I referred to him as beautiful. I’m still hanging on to my southern roots and we don’t call boys beautiful down there. You get the point. 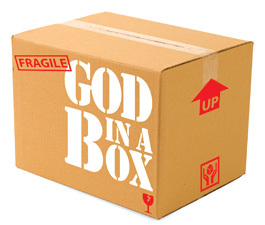 Have you ever put God in a box? I did for large parts of my life. 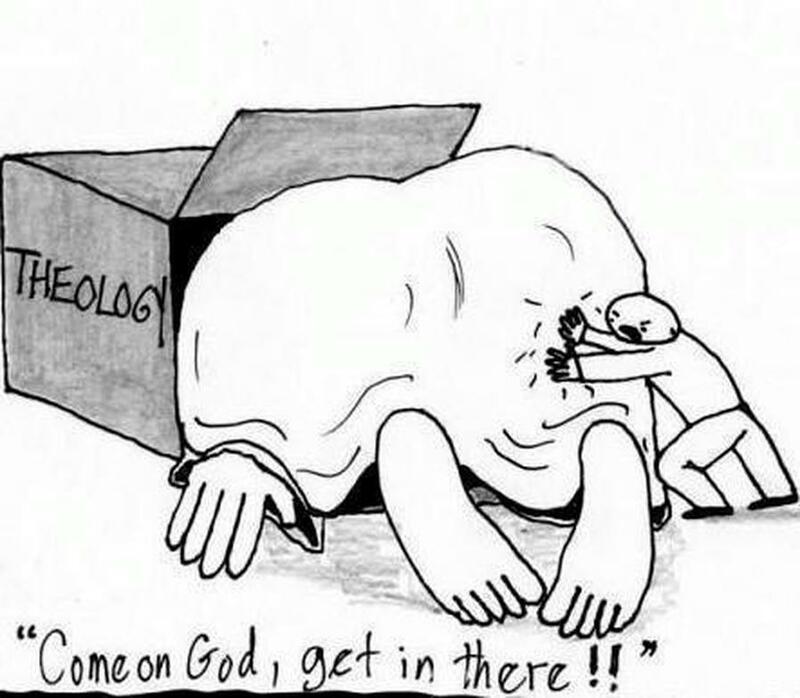 But what happens to us when we put God in a box? Regardless of what the conscience tells people, sometimes they try their best to make God fit into whatever it is they want to be true. I heard a sermon recently about the power of believing. When you believe something, regardless of whether or not it’s true, that thing has power in your life. If you believe something, you feel the power of whatever you are believing. It’s why a lie can have power over you and you not even realize it. That’s the danger of not asking God to blow up your boxes. Jacob was a great man in the Bible. In fact, he was famous. You know a person was famous in scripture if they were mentioned in both the old and new testament. Jacob is mentioned in 27 of the 66 books of the Bible, including each of the 4 gospels. Clearly, God had many lessons that He wants to teach us through the life of Jacob. So the question is, did Jacob ever put God in a box or was He open to God’s changing plan for his life? Jacob was always surrendered and not stuck on what God had told him 40, 20 or 2 years before. He clung to the promises of God and was not afraid to do anything or go anywhere, even if it meant leaving his mother’s house and moving to a strange land. No, Jacob didn’t put God in a box. After several moves, Jacob settled in the land of Canaan. I’m sure by this time, He had the house of his dreams including all the fishing and hunting he could ever want. Life was good for Jacob. But then, something major happened in his life that lands him in Egypt of all places. Even though God had led him to Canaan’s Land , Jacob’s life didn’t end there. So how did this all come about? Let’s dig in. One day, his favorite son, Joseph, shares 2 dreams that really rocks the family. In both dreams, God shows Joseph that his entire family including Jacob would bow to him. I’m sure after telling his dreams, Joseph didn’t get seconds at the next Sunday brunch. Even Jacob was perplexed with the dreams of Joseph. Gen 37:10 And he told [it] to his father, and to his brethren: and his father rebuked him, and said unto him, What [is] this dream that thou hast dreamed? Shall I and thy mother and thy brethren indeed come to bow down ourselves to thee to the earth? But what happens next in Jacob’s life, he never saw coming. You can imagine the jealousy that had been building in Joseph’s brothers’ hearts over the years. After all, this same Joseph was given a special coat of many colors by Jacob. The Bible says Joseph’s brothers despised him. Jacob’s family was no different from other Middle Eastern families in those days. They had lots of cattle and were always in need of fresh pastures. On a certain occasion, Jacob asked Joseph to locate his brothers and report back on their current progress with the animals. As Joseph drew near, his brothers saw him coming and began to devise a wicked plan to get rid of this dreamer. Rather than causing him harm, the oldest of the brothers, Ruben, convinced them to just throw him into a pit for a little while. His plan was to come back later and rescue Joseph after he finished his work. While Reuben was away, the brothers saw a camel train heading towards Egypt and decided to sell him into slavery. Imagine how Ruben felt after he returned to find Joseph gone, and then had to help explain why Joseph isn’t with them when they return home. Their evil plan turns out to be the first official cover- up in the Bible. And you thought cover-ups were just a thing in modern times didn’t you? The plan was to tell their father that a wild animal had killed Joseph and the only remains found were his precious coat of many colors. Can you imagine the heartache Jacob must have felt when he saw the blood-drenched coat? It reminds me of another cover-up in the Bible involving the famous story of David and Bathsheba. Cover-ups never work in the end, the truth will eventually find it’s way out, even if that means in eternity. The government, corporate America, and even non profits cover-up things to protect their image. In King David’s case, he had an affair with Uriah’s wife who then ended up pregnant. David called Uriah in from battle and got him liquored up in hopes of covering up his mistake. However, Uriah refused to sleep with his own wife while his friends were in the middle of battle. 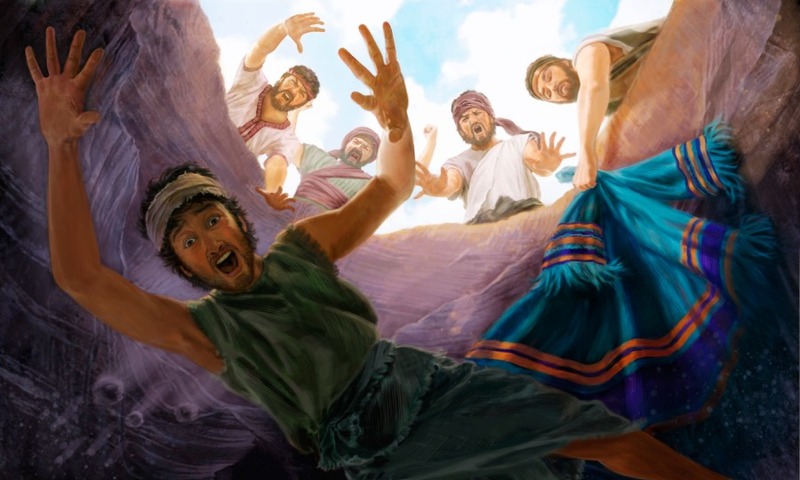 David’s initial cover-up failed so then he sadly ordered the death of Uriah in battle. Doesn’t it seem sometimes that the victims of cover-ups are forgotten? In this case, Uriah lost his life for having the integrity to stand up for what was right, yet David “seemingly” escaped. David thought his wicked plan had worked as 9 months later, he was getting ready to be a father again. As they were counting days down for the baby, Nathan the prophet was sent by God to expose David’s cover-up. Maybe they were at the baby shower in the elegant castle just as Nathan walked in? The Bible doesn’t tell us how it happened exactly but it is clear that Nathan never hesitated to stand for justice despite his relationship with the king. You never find Nathan turning back and compromising what God had ordered him to do. He was firm, swift and moved forward. So, years later after Joseph’s brothers sold him into slavery, a famine hits the land and the band of brothers head to Egypt to buy food for the family. 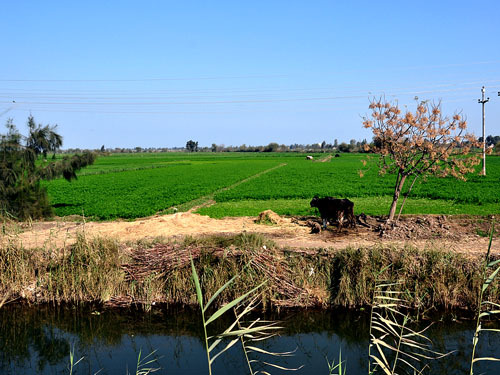 By this time, God had blessed Joseph and he was now the governor of Egypt. Joseph was probably shocked when he first saw his brothers come to buy food in Egypt. After some back and forth encounters, Joseph reveals himself and the guilty brothers realize their cover-up had failed. What Joseph’s brothers meant for evil, God worked out for the good of the family and for Joseph. As an old spiritual mentor once told me, God does promise to work all things for the good, but all things are not necessarily good. In this case, it was absolutely evil what his brothers had done. Just because God made it work out in the end doesn’t mean God had intended his brothers to sell him into slavery wickedly and cover things up. Remember, man does have free will choice in every situation. Sometimes I find Christians belittling the power of free will choice, as if we are robots and God is a mad scientist planning evil things to happen us. We are all accountable for the choices we make. Once the secret is out and the family is reunited, Joseph sends word to Jacob that it’s time to move again and come to Egypt. Wait a minute, I thought he was settled in Canaan’s Land? What will Jacob do? After all, God told him to move to Canaan’s Land so there is no way God could move him again, right? Think about the humility that Jacob must have had to admit he was wrong. What do you mean you ask? Think about it. Just 20 or so years before, Jacob rebuked Joseph for telling the dream of how the family will bow to him. It would have been easy to tell Joseph, “Hold up for a second. I’m old and stricken in age. Why don’t you just send us food monthly and visit on weekends or something?” It was certainly an option and Joseph, no doubt, would have probably obliged his dad and honored the request. But Jacob didn’t do that. Instead he manned up and said, “Hey, I was wrong back then. I now have to give God another chance to change my life around and move me again.” How often do you hear people say, “Well, God told me 40 years ago that I needed to do such and such” and they just dig their boots in deeper when God is calling them for change. Instead of advancing in their journey with Him, they stay and miss out on what God has planned for them. Will you keep God in the box of what He told you yesterday just because the future seems confusing today ? Look at the beautiful retirement home God provided for Jacob in the land of Goshen. Goshen was where Jacob’s descendants grew and multiplied into a great nation. Never put God in a box, as you never know what He might have waiting for you even if it seems unimaginable or uncomfortable. I get it, change is hard. Sometimes the status quo is the easier route. 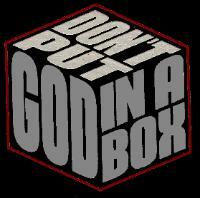 I’ve had my own “God in a box” moments in my life and said that I would never do this or that. 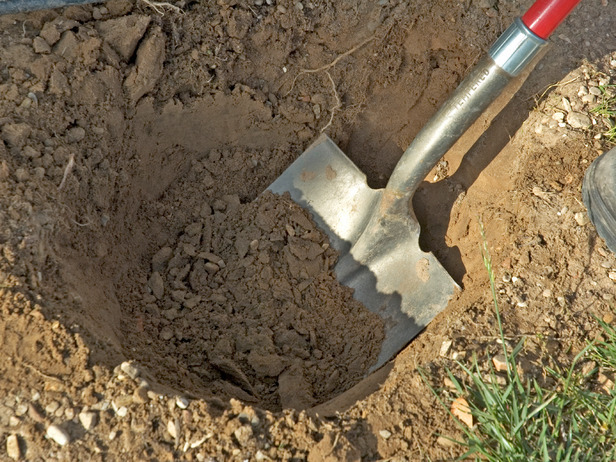 But as the old saying goes, “never say never.” In fact, I think our guardian angels send God a text, fax, email, facebook post, instagram banner and a personal messenger directly into the throne room that reads, “GOD, THEY JUST SAID NEVER.” And then, boom, it happens and you’re either eating dirt or digging in your heals. Ok, maybe I’m the only one who’s ever done that? But the older I get, the easier it is to say “Hey, I was a little wrong about some things.” Actually, admitting you were wrong about something is extremely rewarding. God loves honesty and is so quick to lead you to a new spiritual land of Goshen for more growth in Him. My last point is this: The Bible says that after Jacob rebuked Joseph for his dreams, He “observed“ them, or as we would say today, he pondered these things. It kind of reminds me of the Virgin Mary where she pondered the things the angel told her. Maybe the future looks cloudy or the present is confusing. Maybe you would rather stay in your status quo box because it’s familiar. Maybe it seems perfect on one side, yet the other side of the box is absolutely contrary to what your values hold and, you know it’s time to move on. Friend, don’t stop pondering as Jacob did. Don’t box God out of having free reign in your life. So the question is will we put God in our little box of what man tells us? Or, will we allow God to change our plans by leading us from Canaan’s Land to Goshen? God gave Abraham a prophetic dream about the children of Israel in Eygpt, and the whole world was saved by Joseph(divinity),” and when he saw the wagons that Joseph sent to carry him, the spirit of Jacob their father revived: And Israel said, It is enough:Joseph my son is yet alive:” Divinity came back to Jacob and is called Israel again,Gen:45:27.28. Great blog post. It is amazing how God works out our situations, in the Bible and in each and every one of our lives.